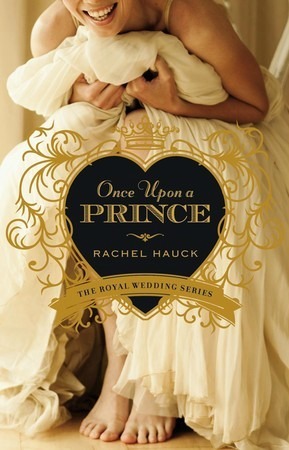 Additional notes: This is the first, and currently only, book in the Royal Wedding series. My thoughts: There are several things I liked about this book that I felt were unique: the characters weren't struggling with their relationship with God. The book reminded me a lot of the Princess Diaries - the first book since that series that was similar enough but still unique. The story line was predictable but not overly so - the struggles seemed real, and I was genuinely curious as to how to the plots would wrap up. If you did enjoy the Princess Diaries as I did, you will enjoy this book. I don't really follow any royal news because... well, I just don't care that much. But I find it interesting to read fiction accounts of royal life. This account is honest, if nothing else. More than anything else I've read or seen, this book portrays the struggle one faces when taking care of an entire population. As Nate put it in the book, his life is not really his own. I seriously appreciated that the two main characters had a firm grip on their relationships with God. Too often, I feel like Christian fiction books include characters who don't yet believe in God or did believe and don't anymore. I'd rather read about someone firmly entrenched in their relationship - it's so uplifting and encouraging. Susanna was such a breath of fresh air - in fact, she reminded me of a friend, particularly when she leaves herself open to whatever God has planned for her. That's so courageous but so, so good. I walked away from this book feeling happy and joyful. A fun, fun book.